Okay, file this under “accessories no one will ever buy”, but the iPhone 4 DSLR lens mount just looks so cool that we couldn’t help, but share it with you. Here’s the deal – you part with $250 and get a case which lets you attach your expensive DSLR gear to your favorite smartphone. You then get the ability to do close-up shots and ones with shallower depth of field, which are two particularly problematic areas of cameraphones. Adding a filter is also possible, if you feel like it. Of course you will need to use the manual focus ring on the lens itself to get proper focus. 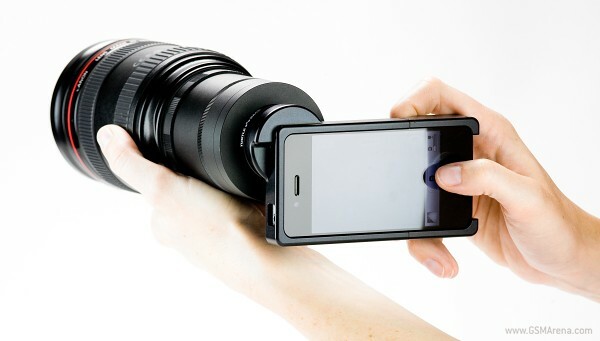 And no, this won’t be turning your iPhone into a proper DSLR as those large cameras offer way more than the ability to attach a high-quality lens at the front. But you will certainly be able to win 1st prize at your local geek contest. Insert witty comment in the section below.